The ALLEA Board elected Professor Hubert Bocken (Royal Flemish Academy of Belgium for Science and the Arts), Professor Graham Caie (Royal Society of Edinburgh) and Professor Krista Varantola (Council of Finnish Academies) as the new Vice Presidents of the European Federation of Academies of Sciences and Humanities until 2020. 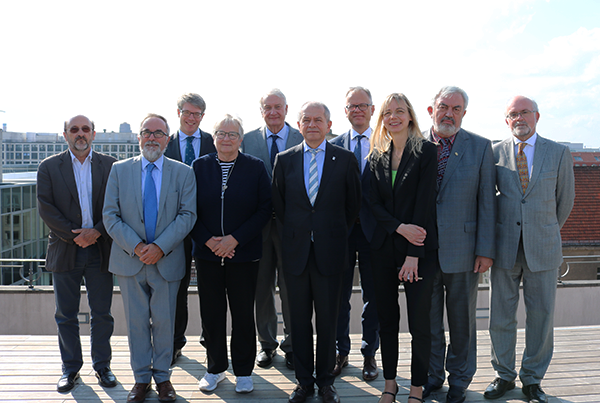 The decision was taken during the first face to face meeting of the newly elected ALLEA Board in Berlin on 6 September 2018. The Vice Presidents will work closely with the ALLEA President Antonio Loprieno, who assumed his position during the General Assembly in Sofia at the Bulgarian Academy of Sciences on 17 May 2018. 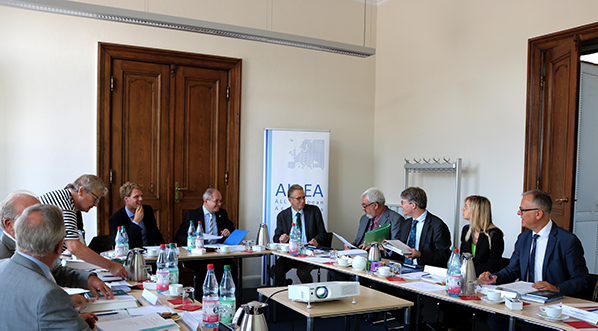 The current ALLEA Board was elected on this occasion as well. From left to right, ALLEA Vice Presidents Hubert Bocken (Royal Flemish Academy of Sciences and Arts), Graham Caie (Royal Society of Edinburgh) and Krista Varantola (Council of Finnish Academies). ALLEA Vice President Hubert Bocken is honorary President of the Royal Flemish Academy of Belgium for Science and the Arts. Educated in law at Ghent University and the Harvard Law School, Professor Bocken taught law of obligations, comparative law and environmental law at Ghent University, where he also served as member of the Board of the University, as Dean of the Faculty of Law, and as Chair of its foreign relations committee. He presently is co-chair of the Commission for the revision of Belgian Tort Law established by the Belgian Minister of Justice. Since 2016 he is part of the ALLEA Board and was reelected in 2018. ALLEA Vice President Graham Caie CBE is Emeritus Professor and Professorial Research Fellow in English Language and Linguistics at the University of Glasgow, where he previously served as Vice Principal. His research interests include Old and Middle English language and literature, the history of the English language, Scots language, and interdisciplinary medieval studies. He is Fellow and former Vice President of the Royal Society of Edinburgh, and he was Vice Chair of the Board of the National Library of Scotland, where he remains as Deputy Chair. He is on the Advisory Board of the British Council, Scotland, and on the Court (governing body) of Queen Margaret University, Edinburgh. Since 2014 he is part of the ALLEA Board and was reelected in 2018. He is also member of the ALLEA Working Group Horizon Europe. ALLEA Vice President Krista Varantola is member of the Council of Finnish Academies and of the Finnish Academy of Science and Letters. She is Professor and Rector Emerita of the University of Tampere in Finland. Her academic field is English linguistics. She is currently Chair of the University Board of the University of Jyväskylä in Finland. Varantola has a long-standing interest in research integrity. She chairs the National Board on Research Integrity in Finland and is member of the ALLEA Permanent Working Group on Science & Ethics. She was one of the drafting group members of the 2017 revised edition of The European Code of Conduct for Research Integrity. She also acts in an advisory role for research integrity in a number EU funded research projects. Since 2016 she is part of the ALLEA Board and was reelected in 2018. 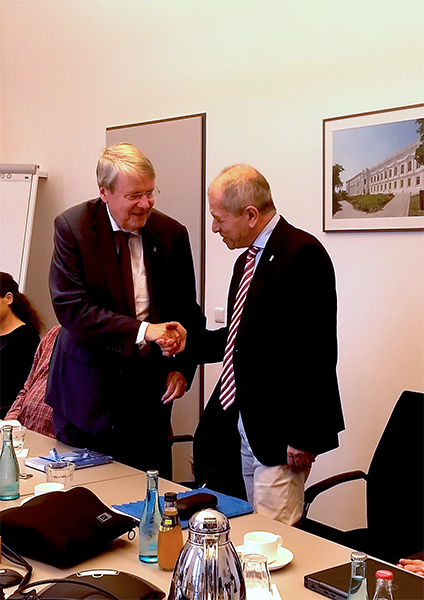 The meeting of the ALLEA Board took place on the kind invitation of the Union of German Academies of Sciences and Humanities, and the German National Academy of Sciences – Leopoldina. 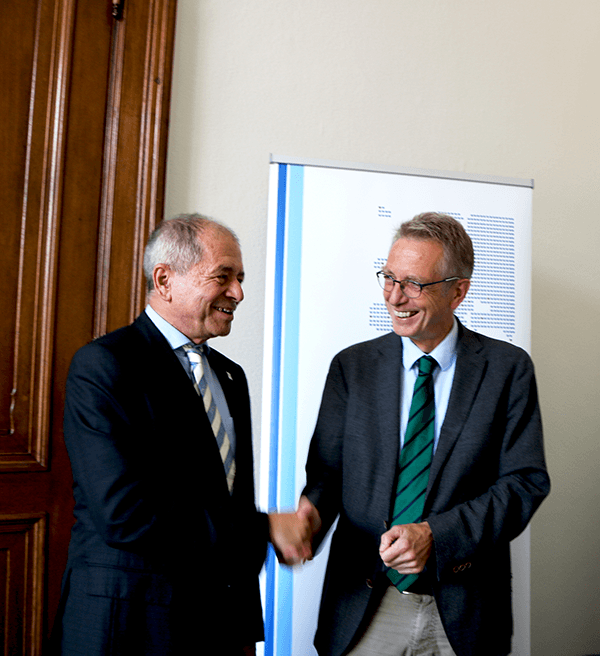 Participants were welcomed by Professor Thomas Holstein, Foreign Secretary of the Union of the German Academies of Sciences and Humanities and President of the Heidelberg Academy of Sciences and Humanities, and Professor Jörg Hacker, President of the Leopoldina.